in addition to the BASIC functionnality you can connect, on Port3, the DVBS/S2 signal coming from your LNB or SET- TOP BOX. 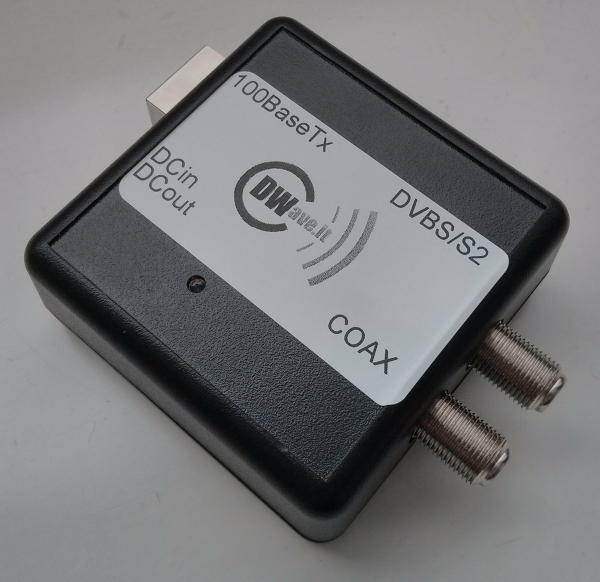 In this case your COAX cable is carring the data from/to ETH 100 and the DVBS/S2 signal. in addition, you can connet DC IN plug on Port4 (48 VIN) in order to provide supply over the COAX cable on Port2. Otherwise you can connect a plug on Port5 in order to receive Supply voltage from the COAX cable to Port5. The three mode, BASIC, ENANCHED+ and ENANCHED++ can be used individually, or two of the three, as you prefer. The device is available on stock (25 pcs. left). Price: 50 € 1 pcs. shipping costs excluded.